1) buggy world is very strange. i can't understand the american way sometimes: i Always read a lot of comments on original ones. original has an history.... original is better...original is valuable and so on....but i see very little amount of real original cars in what you post here. most of people find a barn unmolested manx and the day after it has 2100 engine with powder ceramic muffler, 2000's anatomic seats and full rollcage. not to speak on wheels and suspensions. EVERYONE IS FREE TO DO HIS CAR THE WAY HE LIKE... but i can't understand this way of thinking. i am italian...and obviously european. we think it very different. let me please do a couple of thought in public, hoping not to offend anyone. 2) i would prefer a real well built COMPLETE REPLICA with period correct parts than a real period one with mixed parts. 3) we are talkin about plastic. you can weld a piece of metal but you can enter the old molecolar structure of a 40 years old body. you simply spray something on it. 4) i don't love "exclusivity" way of thinking. i don't love anyone can think other people should not have a genuine manx to see more money on his cars. manx is a workin class hero. you should be happy to see it rebirds. other way you love money more than cars. 5) i think the new bodies will modify price for the old ones only in part. 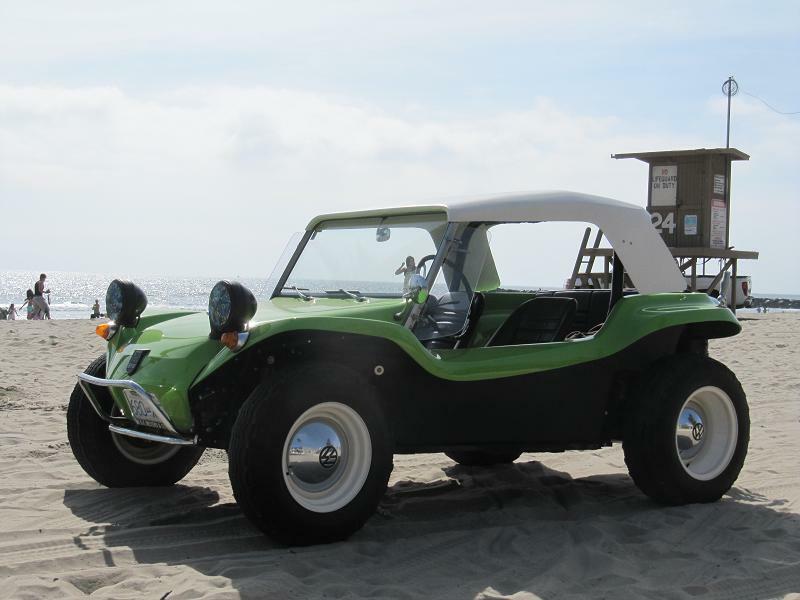 6) it is just a dune buggy. a 23 million car's chassis with a plastic body. when mr. manx invented it i can bet he had only fun and beauty in his mind. everyone should own a manx. take it easy and go to the roots. b) you have a replica: thanks god i did't destroyed an original one. If I could justify driving around with a beautiful Chartreuse Green Buggy brand new out of a mold I would do it in a heartbeat!!!! For the price you can't even think about trying to fix up an old buggy body and paint it for that. I'm not meant to have nice things though....I much rather spend my time wrenching or driving a buggy than polishing and/or worrying about someone touching it or possibly...God Forbid......putting a scuff or scratch in it whether just admiring it or getting in it. There is something to be said about patina......I have never in the 12 yrs of driving my original gelcoat beat up bodied non Manx buggy.... had anyone comment on how old and ugly the paint is.......It's always thumbs up, big smiles and finger pointing by young and old alike and if a child wants to sit in it I let them monkee climb over the rear wheel to get in themselves. As far as the re-releases......Do the original Mustang, Camaro and Challenger owners worry about the new versions of their cars affecting the value????? Take a good long look in the mirror and report back on what you see. It's kinda of like talking about your uncle at Thanksgiving (while he's in the room) about how he had a really good run at the Market because he had a special talent in a time long past. Thinking about 'continuations', never having the traction of originals, would it not have been better for them to acquire early production cars and bring them back to the condition that guys like GeoffP did. ...or Vince in Hatterass ..a number of others. I suspect the Meyers' are not out back doing the layup, so potential revenue on body-only is small. ..'given that in one day quite recently, a non-period Manx generated 3x the sell of a clone, you'd think what a better resource than sourcing an period, signature car from the man himself? 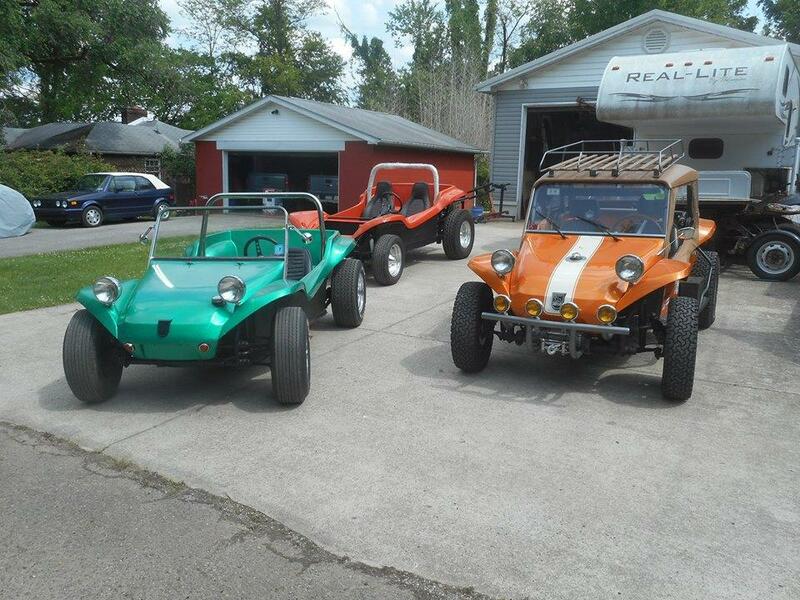 Having already built several Original Meyers Manx buggies, a slew of clones and 3 more of my own personal original Meyers Manx to go, they are super labor intensive. When I sell them/charge for them, I make about $ 2.50 to $ 3.00 per hour on my labor, if I am lucky. With Bruce turning 91 in 2 months, and Winnie deep into her 70's, I would think restoring a original body would not be a good business model. Just my opinion. In knowing Bruce and Winnie personally, I wish the best success for them. I hope they have a consistent demand for these new bodies. Like anyone else, they deserve to be successful. As with anything, the original will always carry the favor. It has a story to tell. I kicked around very seriously buying one of these and splitting the transportation cost with others to the East Coast. I thought it would be nice for a change not to have to work a old body. But then having just completed a new Manxter, I realized there was no "me" in it, and I have a hard time holding it special. Over the years I have restored more than I care to count of the Big Three, VWs, MGs, Mazdas and others. For me to enjoy owning or building something, I need to have a connection with it totally. So I will always value a old body with a story more than a new body with no "face". That is just my opinion. That sounds dopey, but try as I may for over 50 years, I have been unable to change myself. Did the continuation classic bodies affect the value of actual original manx bodies? Id say you are simply buying better quality. Imho, you're buying a fiberglass body to build a plaything. If you are buying because of some kind of exclusivity for speculation... you'd be better served buyimg precious metals. I'd follow the disclaimers of most financial advisors. Past performance is not a guarantee of future performance. Buggies will always be worth what someone will pay for it. I don't see this affecting originals. Bodies in good shape with original gelcoat should still go for good money.